Does your Mac have duplicate files scattered all over the drive? Redeem disk space in a quick and easy way with Easy Duplicate Finder™ for Mac. Easy Duplicate Finder™ identifies and removes duplicates that waste valuable disk space, increases your Mac's performance and improves your productivity. 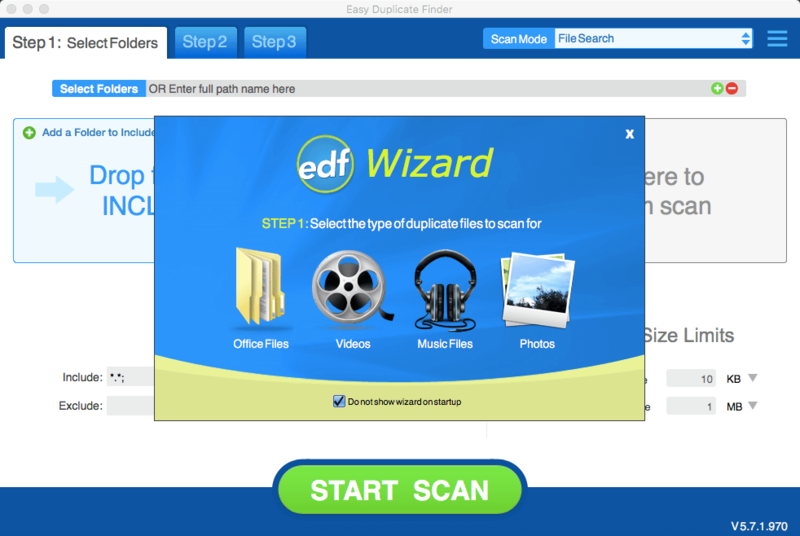 Easy Duplicate Finder™ can search for duplicate files by name, modification date, empty folders, and file content. In addition to that, Easy Duplicate Finder™ will help you find and delete duplicates in iTunes, iPhoto and Photos in just a couple of clicks. With its powerful multitasking capability the program can execute simultaneous searches, so that you can take advantage of the latest functionality on Mac computers and OS X operating systems without experiencing any speed delays. Try Easy Duplicate Finder™ for Mac today to manage duplicate files, free up valuable disk space and organize the files on your Mac.